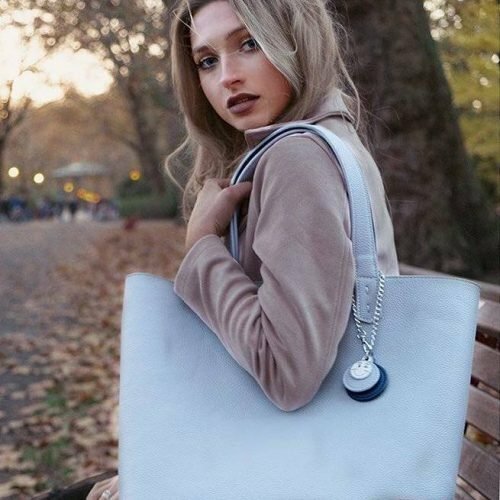 The shops are awash with new season goodies but it can be tricky to pick your way through a billion new trends and then work out how the heck to incorporate them into your existing wardrobe. And who has the time anyway? 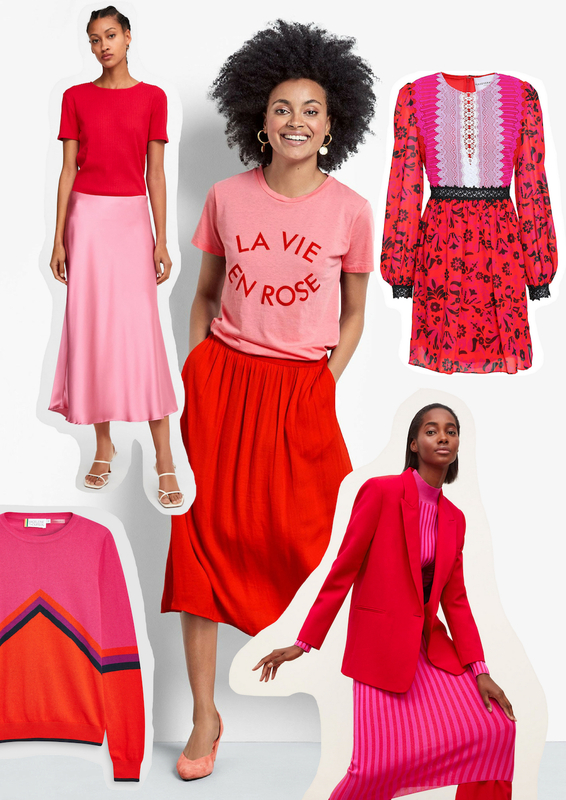 So here’s our super-quick, easy-peasy guide to spring/summer fashion – and don’t worry, we’re not going to command you to wear a bucket hat or – horror of horrors – cycling shorts. Remember how your mum told you never to wear pink and read together? Your mum was wrong (sorry, mum). This colour clash is big news this season – take it gently with the hush slogan T-shirt with your usual jeans if you’re nervous. 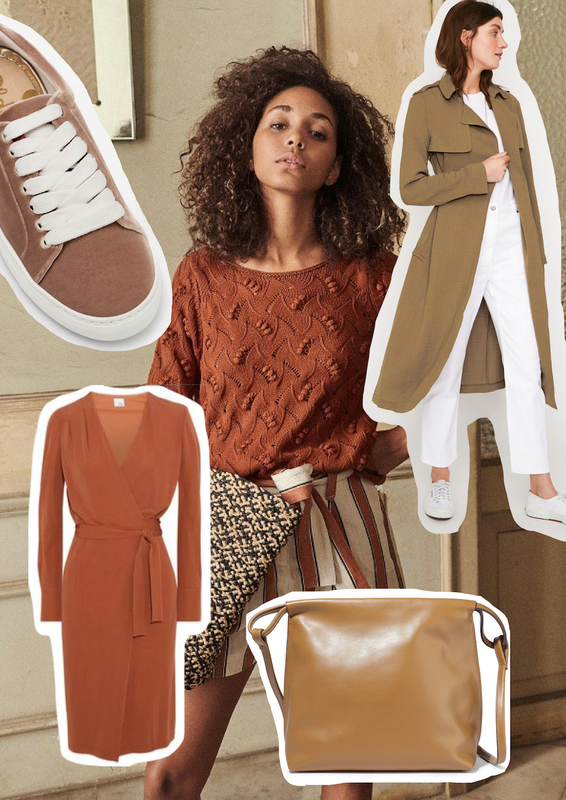 The good thing about this trend is you’ve probably got pieces in these shades already in your wardrobe but hadn’t thought to put them together before. Time to experiment. Clockwise: Zara ribbed T-shirt £9.99, hush slogan T-shirt £35, Perseverence floral dress £194, Zara red blazer £79.99, Next Label/Mix Madeleine Thompson jumper, £80. 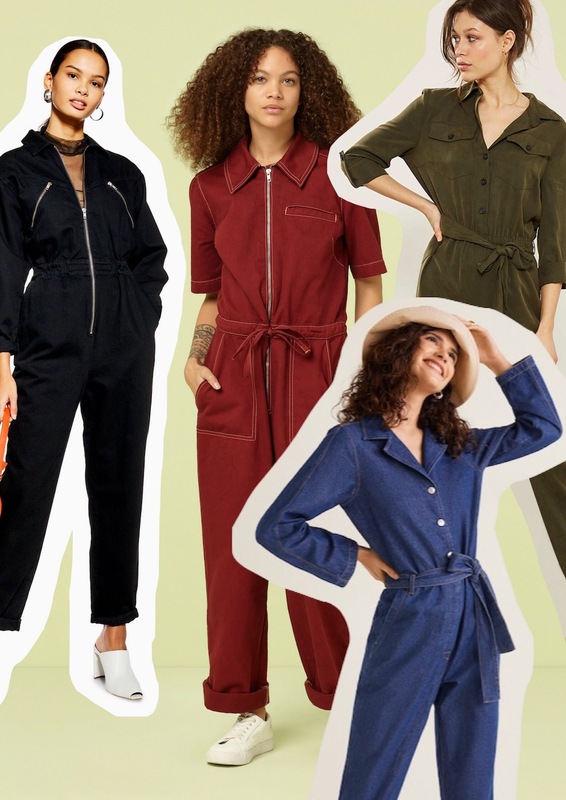 These are basically utilitarian jumpsuits, so the kind you can wear everyday, rather than to a wedding or on a night out. Just ignore any hilarious bystanders who ask you to service their boiler/car when you’re wearing one. If you’re nervous and don’t want to splurge too much cash, try Topshop’s £59 one in black or rust. I love the ease of a boilersuit – not when you need the loo admittedly but when it comes to getting dressed in two seconds flat in the morning, I just add white trainers, gold hoop earrings and I’m good to go. Clockwise: Topshop utility boilersuit £59, Finery red boilersuit £129, Mint Velvet khaki boilersuit £109, Mango denim boilersuit £59.99. Kelly Hoppen must be ecstatic – beige, taupe, brown, rust, camel and chocolate are everywhere this season but they’re anything but boring. 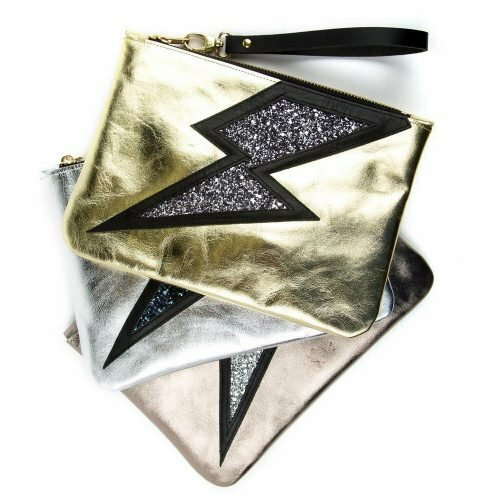 Plus they’ll definitely lighten up your look for spring if you’ve been encased in black, navy and grey all winter. I’m especially keen on this pretty patterned cotton Sézane sweater. A ridiculously easy way to nod to this trend is dig out your trusty trenchcoat (or take a peek at this Warehouse one). Clockwise: Boden trainers £49, Sézane jumper £95, Warehouse trench £79, Iris & Ink leather shoulder bag £130, Iris & Ink wrap dress £135. 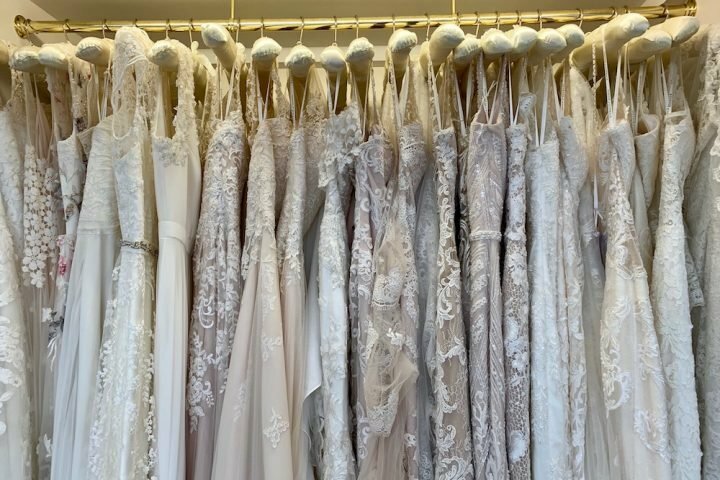 This is one trend that’s running and running but if you’re getting bored of pleats, there are loads of other options now – how about bias cut, wrap or A-line? The one rule is it’s gotta be a midi length. My stand-out pick for this season is Kitri’s cream vinyl pencil skirt – yes, I know that sounds scary but it’s such a simple, stylish spring update (wear with a simple navy cashmere jumper and trainers) – and wipe clean too! 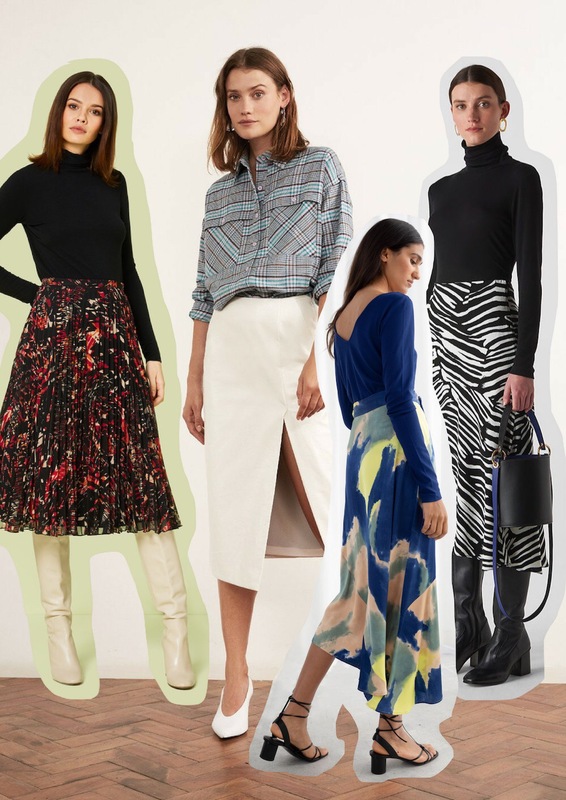 From left to right: Finery abstract print skirt £59, Kitri vinyl skirt £79, & Other Stories asymmetric skirt £59, Whistles zebra print skirt £119. 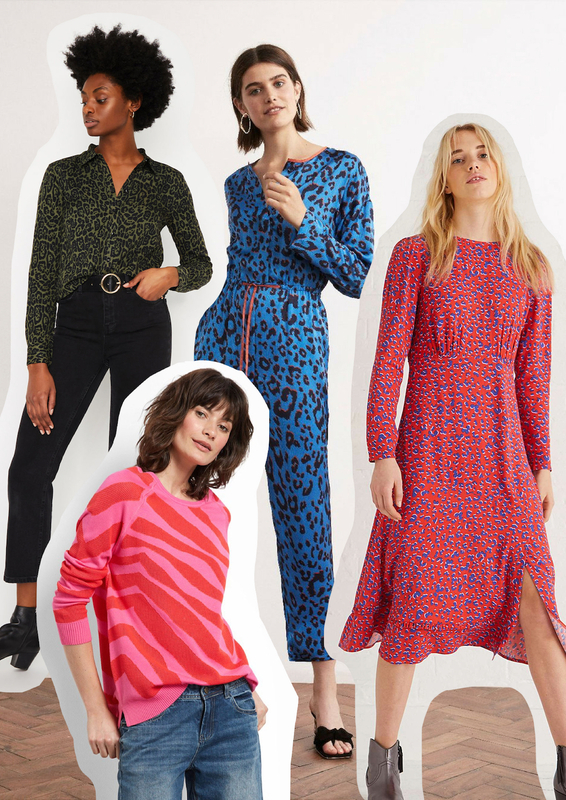 There’s only so much classic leopard, snake and zebra print a girl can squish into her wardrobe but happily this season there are lots of new riffs on these perennial favourites. Look out for new colourways (this Warehouse green shirt shall be mine) and deconstructed patterns, like this magnified zebra print on hush’s jumper (which also ticks the pink/red colour clash box too). From left to right: Warehouse green leopard shirt £32, hush zebra jumper £89, Kitri jumpsuit£125, Oliver Bonas red midi dress £75. There are Wild West vibes aplenty this season but there are ways of dipping into this look without looking like Woody from Toy Story. 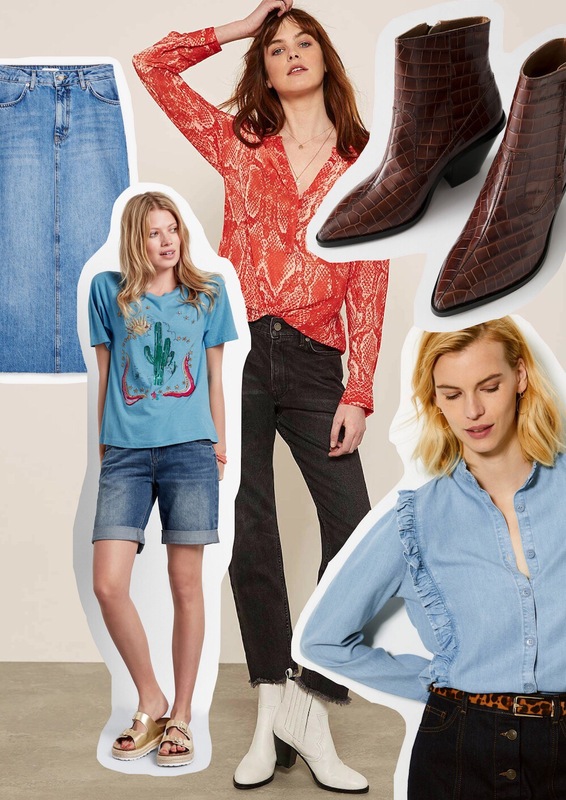 Look for new season ankle boots with a cowboy vibe (I like these & Other Stories ones), faded out T-shirts and lashings of mid-blue and pale denim. Clockwise: Topshop denim skirt £35, Mint Velvet white cowboy boot £149, & Other Stories croc cowboy boot £129, M&S denim ruffle shirt £32.50, hush cactus T-shirt £45.